A wide range of technology and a host of features are available in each hearing aid style. The cost of hearing aids generally depends on the technology and the number of features the instrument has and not necessarily on the style selected. Today's digital hearing aids are typically offered in various levels such as basic or entry-level to advanced or premium-level. Within each level, different technology and features are available. 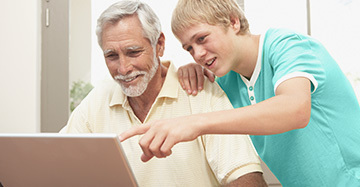 Basic digital hearing aids generally require the wearer to make some manual adjustments in certain listening environments such as turning a volume control up or down, or pushing a button to change listening programs. In contrast, a premium or more advanced hearing aid responds automatically to changes in the listener's environment, making changes based on the signals being detected by the hearing aid. 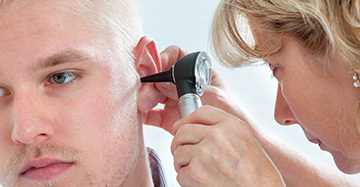 The hearing aid wearer is not required to make any manual changes. As the level of the technology increases in hearing aids, so do the availability of advanced features. Examples of some of the advanced features found in today's digital hearing aids are shown below. The smallest custom style, CIC instruments fit deeply and entirely within the ear canal. They fit mild to moderate hearing losses and offer high cosmetic appeal as they're nearly invisible when worn. Full shell models sit flush within the outer ear bowl. Their size allows the maximum number of additional controls and features such as directional microphones, which require space on the outer portion of the instrument. They use a larger battery size than the smaller styles, and can fit a larger receiver with enough power for even some severe hearing losses. Because of their flexibility, they're widely recommended for mild to severe hearing loss. Mini BTEs are designed to hide behind the outer ear, and have ultra-thin tubing to discreetly route sound into the ear. 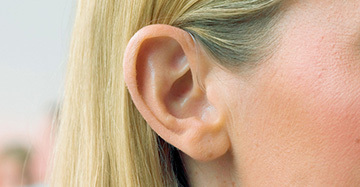 The tubing connects to a soft tip that sits in the ear canal but doesn't occlude it. The result is a natural, open feeling as airflow and sound enter the ear naturally around the tip, while amplified sound enters through the tip. This is known as “open fitting” and is recommended for mild to moderate high frequency losses. BTEs with earmolds fit mild through profound hearing losses. Their longer shape follows the contour behind the outer ear and can house many features such as a program button and volume control. The earmold color and style, as well as the wearer's hairstyle, determine exactly how they'll look on each person.